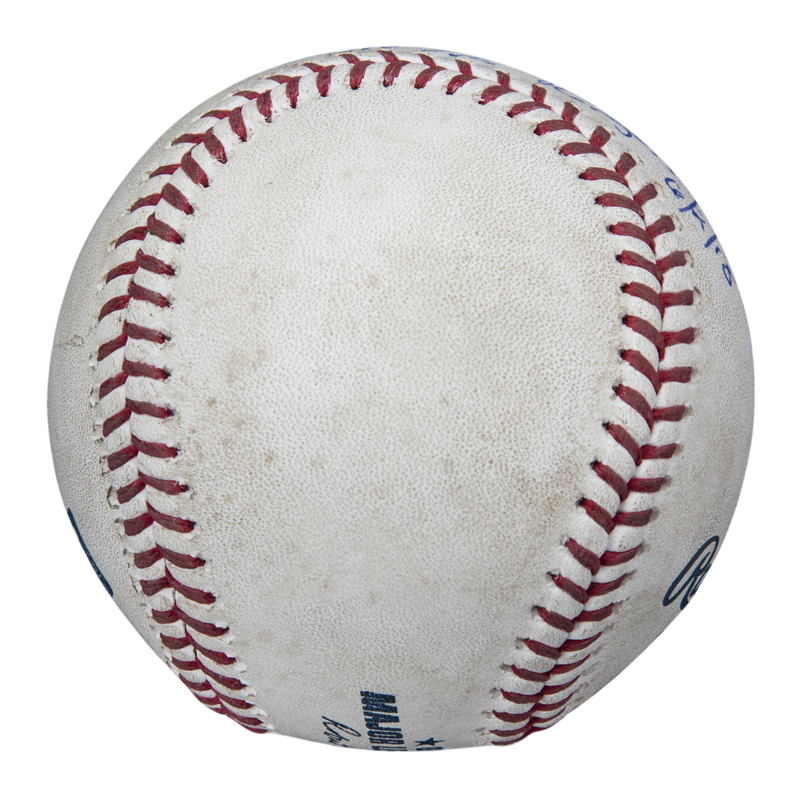 Los Angeles Angels superstar Mike Trout hit this baseball for a single against the Texas Rangers on June 2nd, 2018. 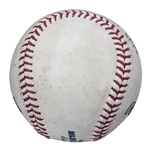 Trout came to the plate against Rangers ace Cole Hamels in the bottom of the sixth inning, rapping a liner to centerfield on the eighth pitch of his at-bat. 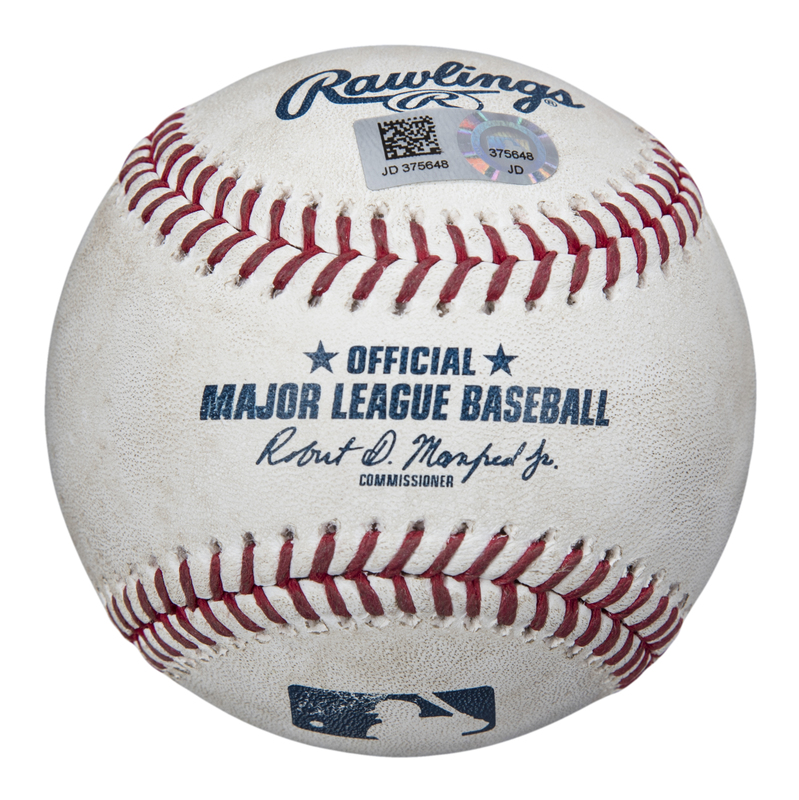 The ball traveled 322 feet to Rangers centerfielder Delino DeShields, with an exit velocity off Trout’s bat of 104.33 miles per hour. 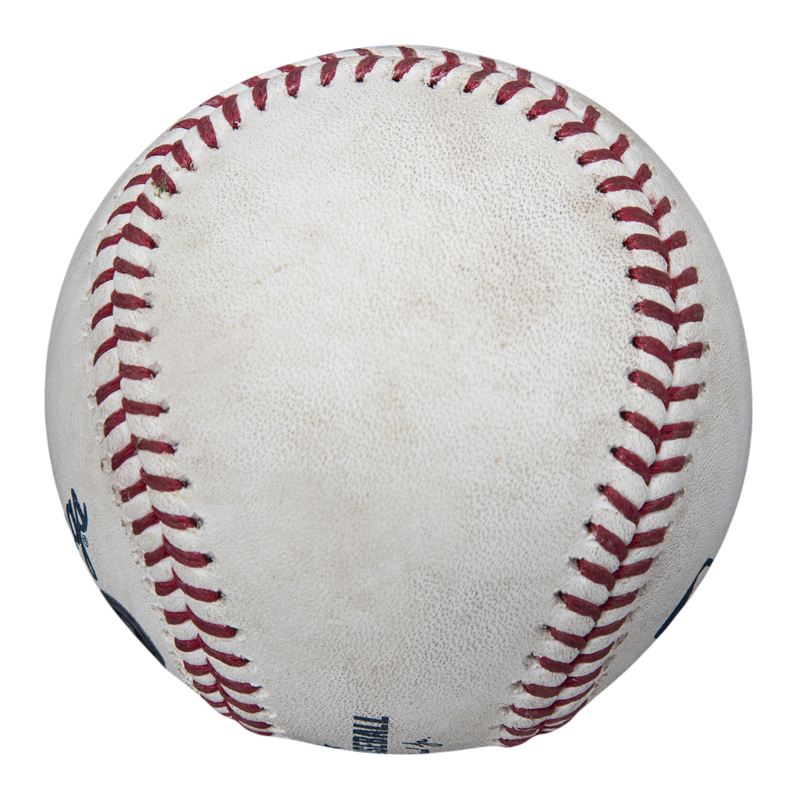 Trout finished this game, a 3-2 Angels loss in 10 innings, 3-5 with a solo home run, the 220th of his career, in the first inning. 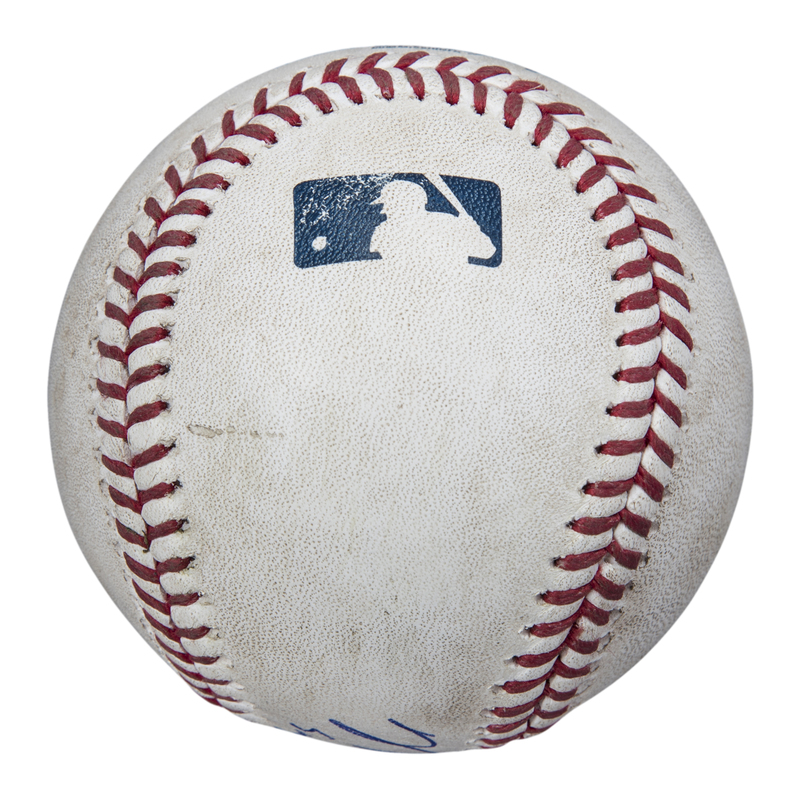 Trout has signed the sweet spot of this Official Major League Robert D. Manfred Jr. baseball in blue pen. 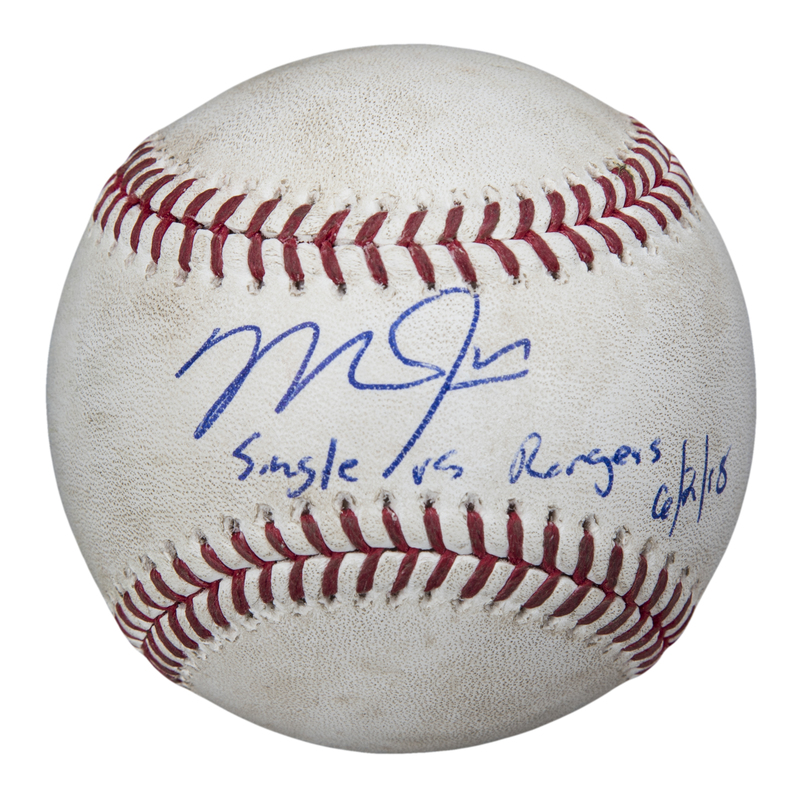 It is very rare for Trout to inscribe a baseball, but that is what he has done here as he inscribed “Single vs Rangers 6/2/18” below his signature. 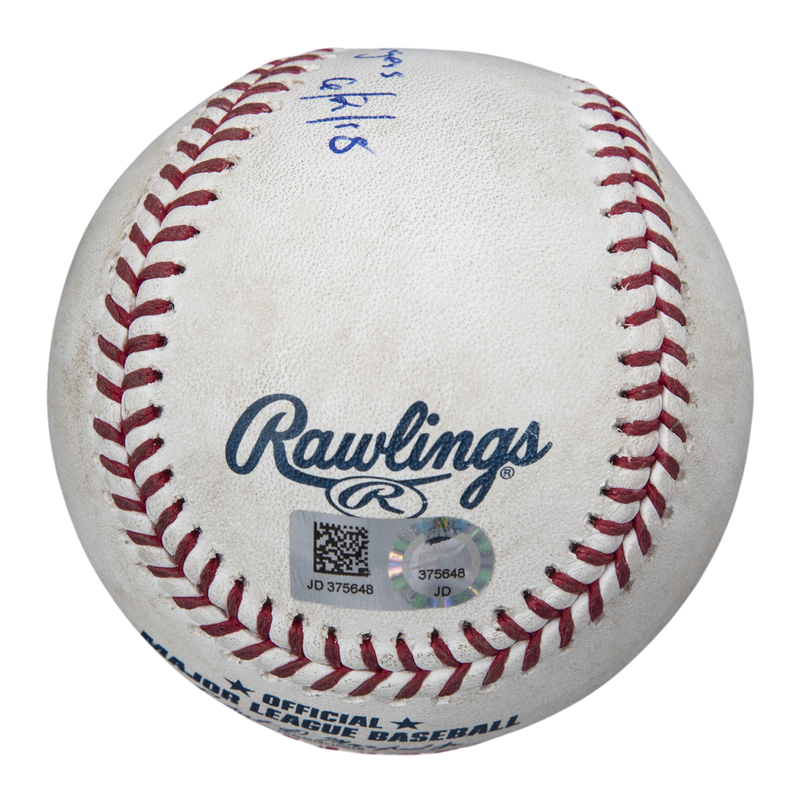 This baseball comes with a MLB Authenticated hologram (JD 375648).